The aXs lift meets the Americans with Disabilities Act Access Guidelines (ADAAG 2010) and has a 300 pound lifting capacity. The aXs lift installs into your pool deck via anchor, and can be easily removed for winter storage. 360° rotation ensures a safe transfer area. Powered by a 24-volt rechargeable battery. Powder coated stainless steel and aluminum. 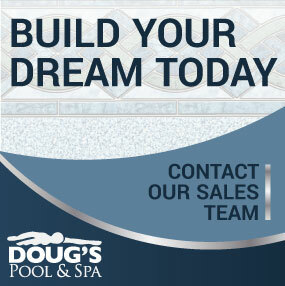 The completely portable PAL is the perfect accessory for any commercial aquatic facility. The PAL Lift series meets the Americans with Disabilities Act Access Guidelines (ADAAG 2010). 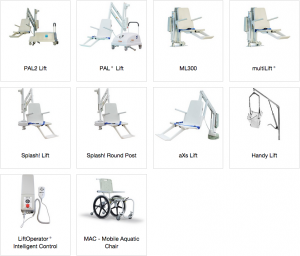 In addition to the standard configuration, the PAL lift is also available in Hi/Lo and Spa versions. 240° rotation ensures a safe transfer area. 300 pound lifting capacity. Powered by a 24-volt rechargeable battery. Powder coated stainless steel and aluminum. For AutoCAD files and Specifications for additional configurations, please visit our Support section. The Splash! Lift series meets the Americans with Disabilities Act Access Guidelines (ADAAG 2010). In addition to the standard configuration, the Splash! lift is also available in Hi/Lo, Spa, and Extended Reach versions. The Splash! 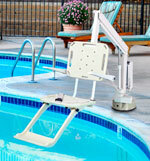 lift installs into your pool deck via anchor, and can be easily removed for winter storage. 359° rotation ensures a safe transfer area. 400 pound lifting capacity, except for the Extended Reach, which has a 300 pound lifting capacity. Powered by a 24-volt rechargeable battery. Powder coated stainless steel and aluminum. For AutoCAD files and Specifications for additional configurations, please visit our Support section.